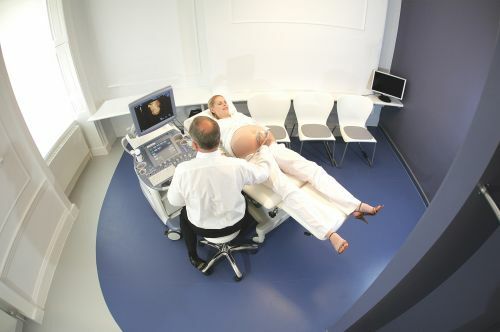 The design focuses on the patient. 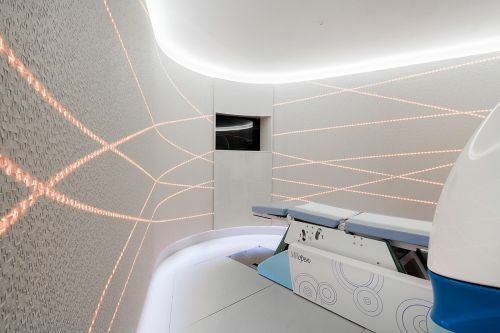 The intimacy of the experience inspired the design for an enveloping curved partition, offering privacy for the patient and housing the screen for the image of the scan. 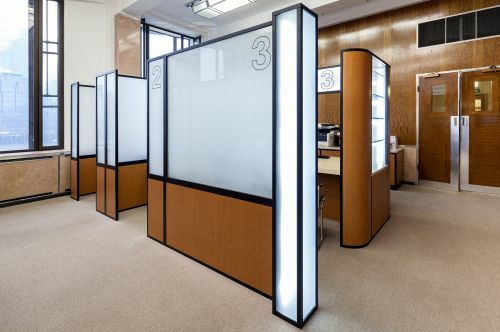 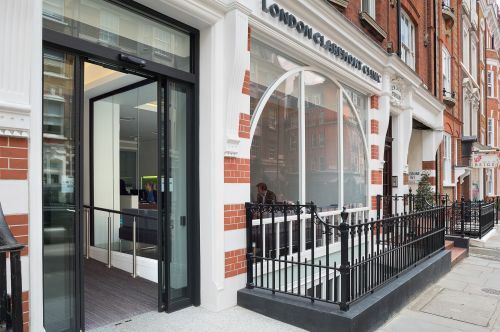 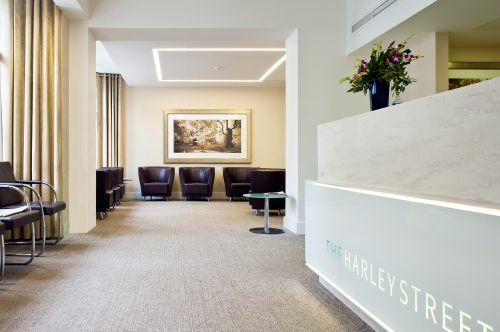 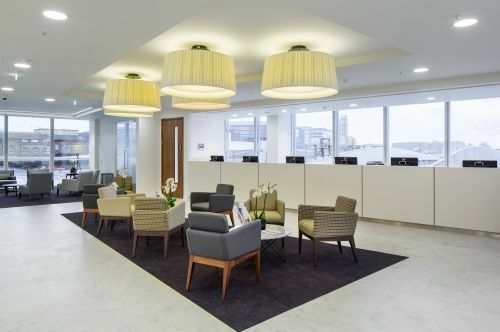 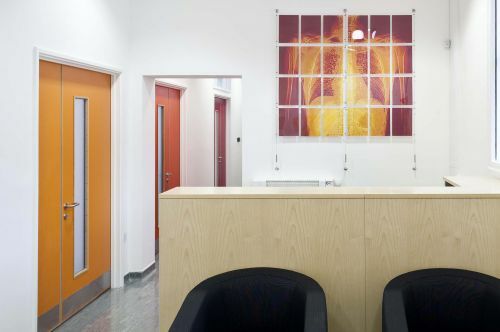 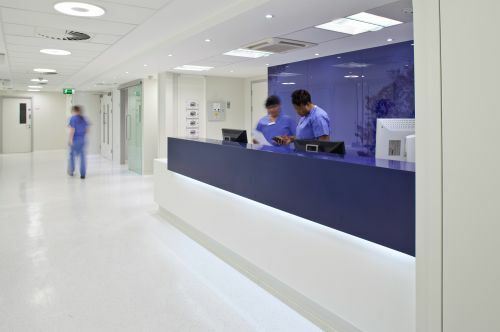 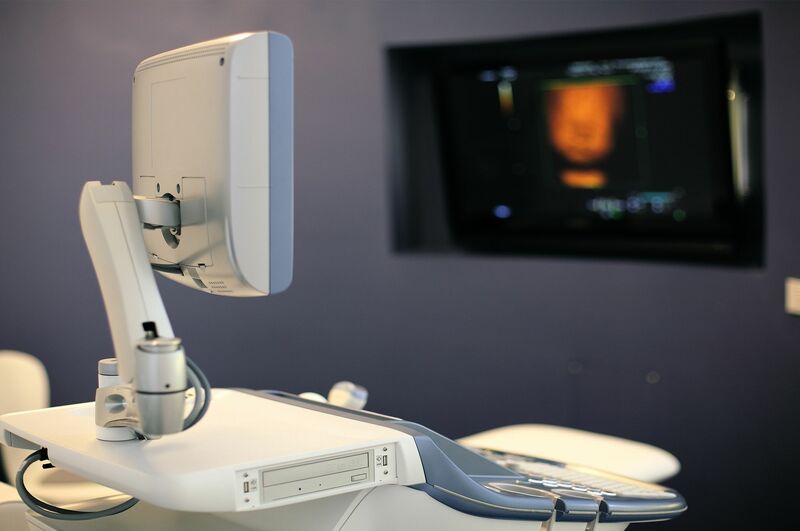 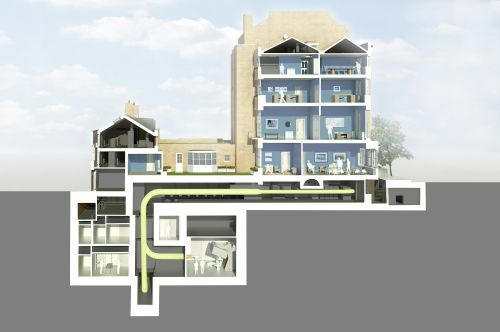 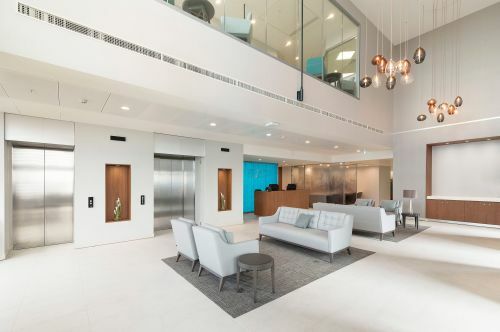 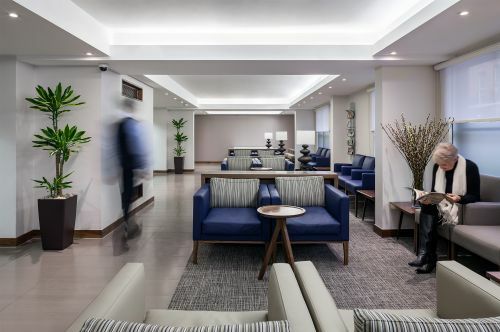 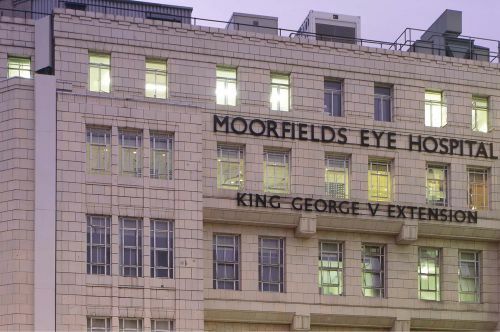 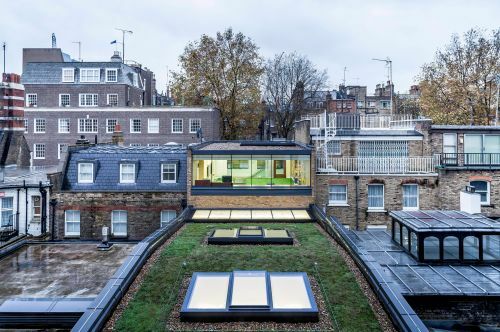 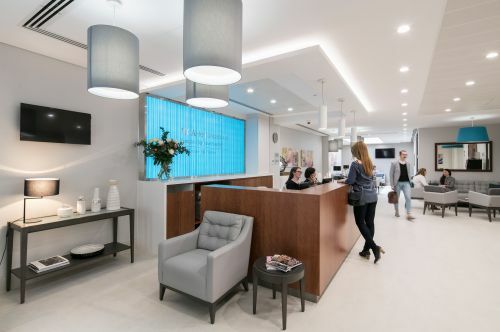 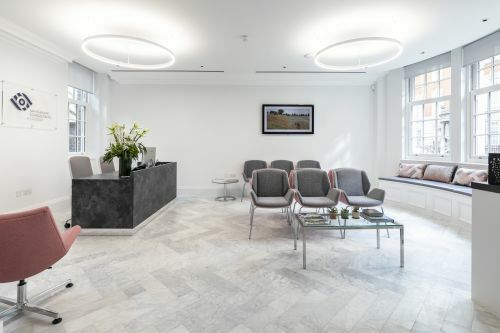 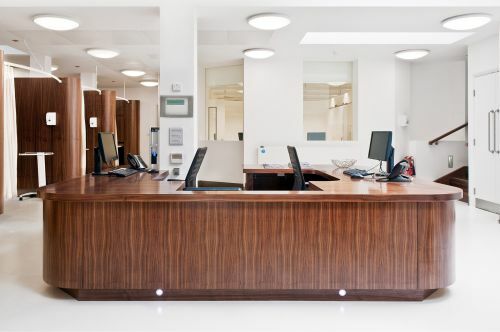 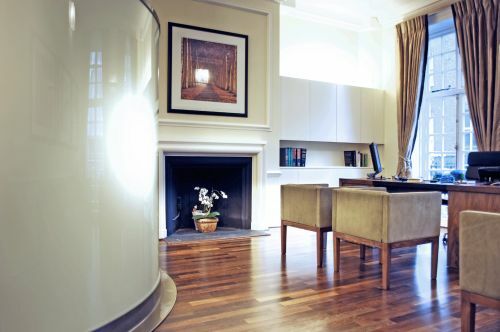 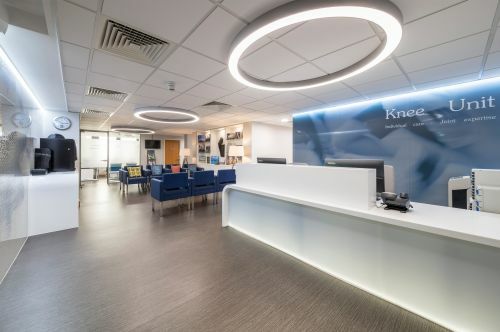 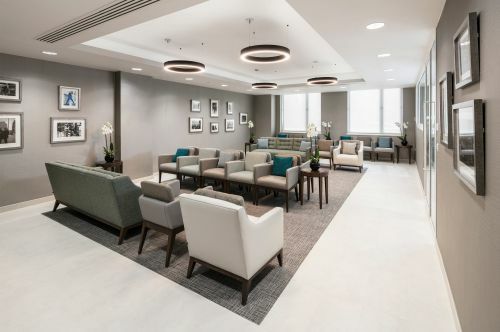 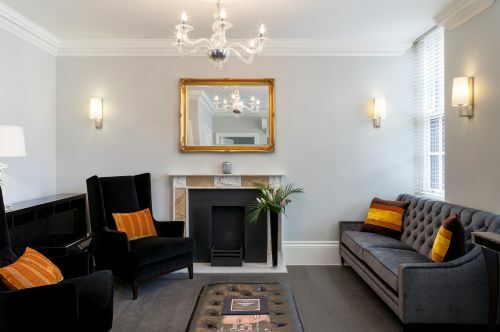 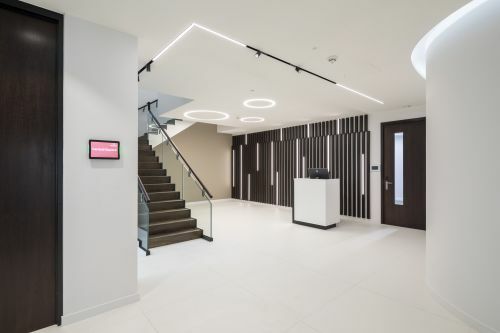 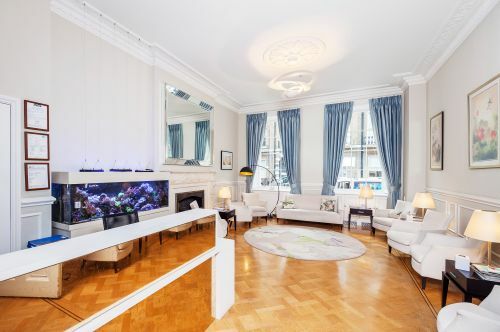 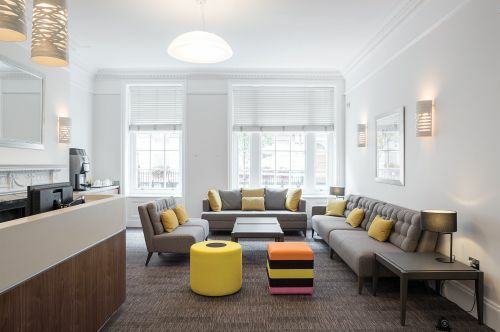 The Ultrasound Company required a design for the fit-out for their new venture based within the ground floor suite of 46 Wimpole Street, London W1. 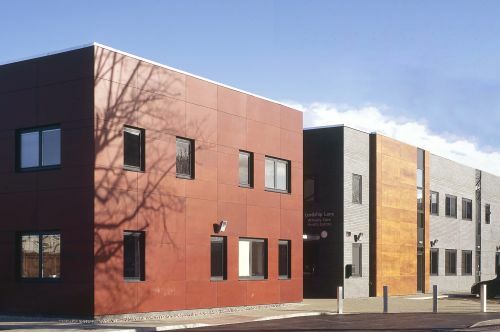 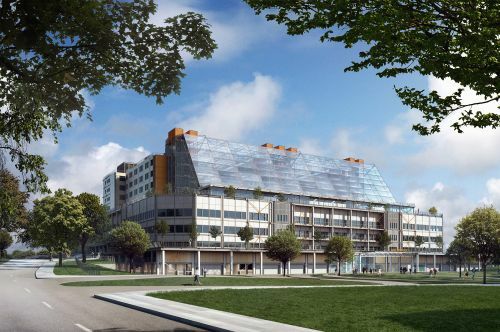 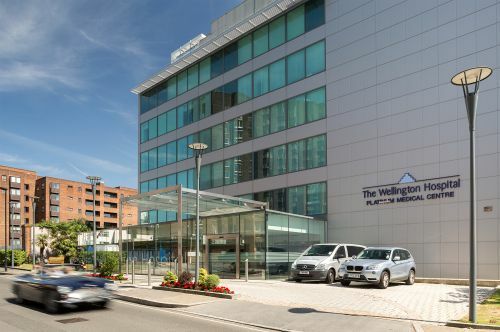 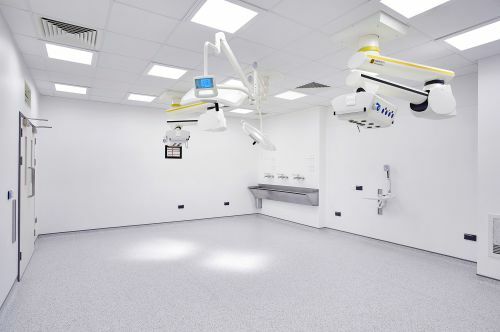 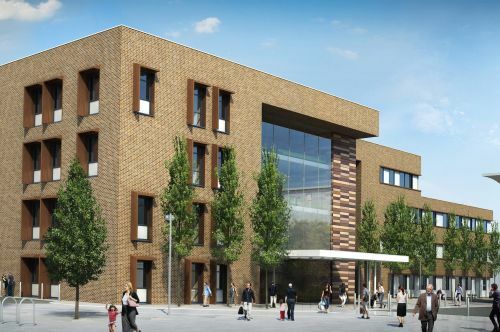 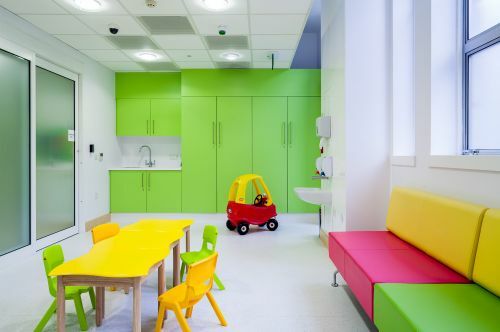 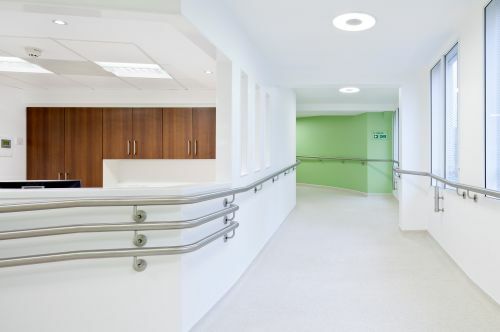 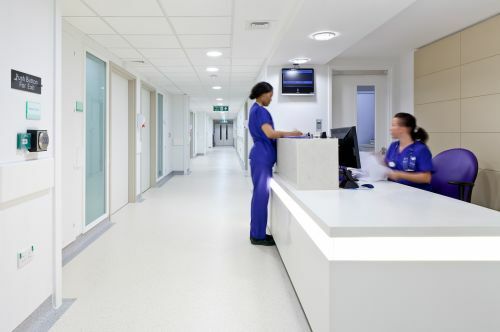 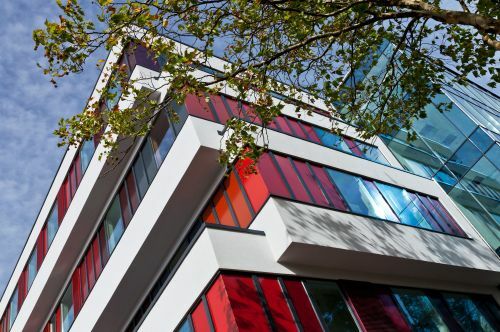 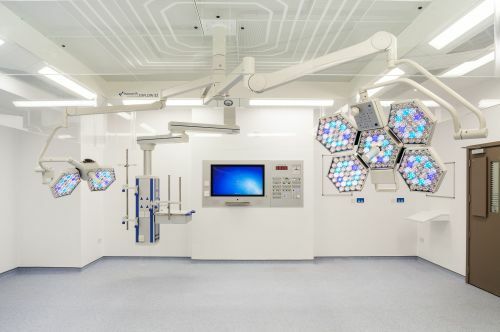 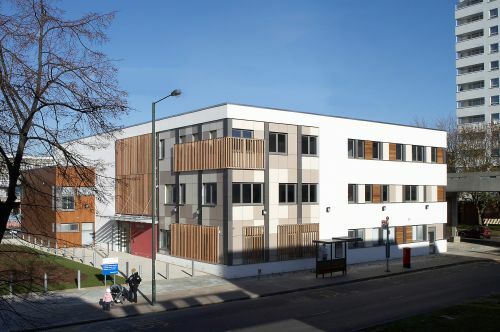 The facility needed to meet standards appropriate to a health care use, but at the same time respect both the period fabric of the property and create an environment sensitive to the needs of those that use it. 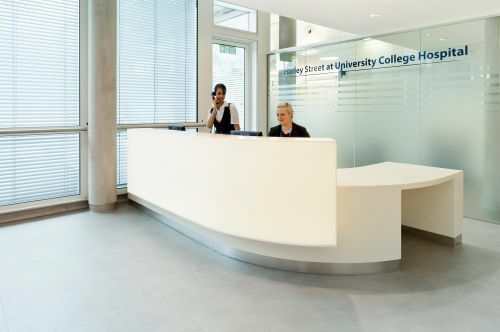 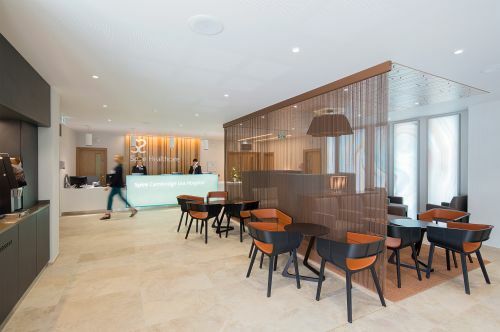 The resulting design carefully considers the flow of staff and visitors and is set up to provide privacy without resorting to lots of closed doors. 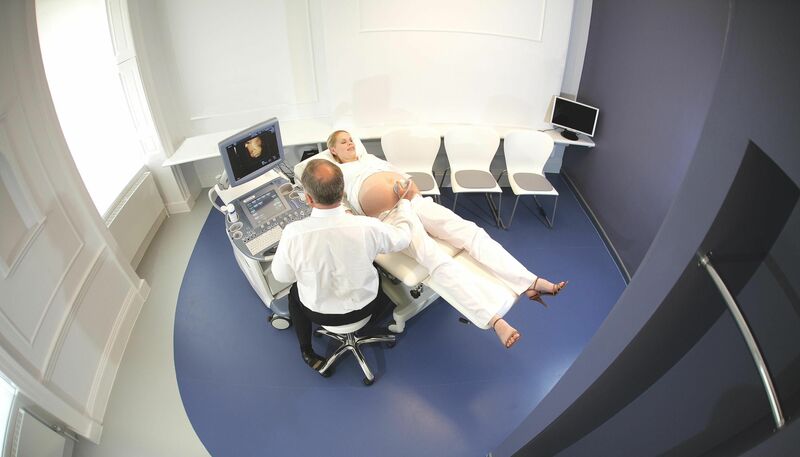 I knew I’d made the right decision to visit the Ultrasound clinic when I walked into the scanning area. 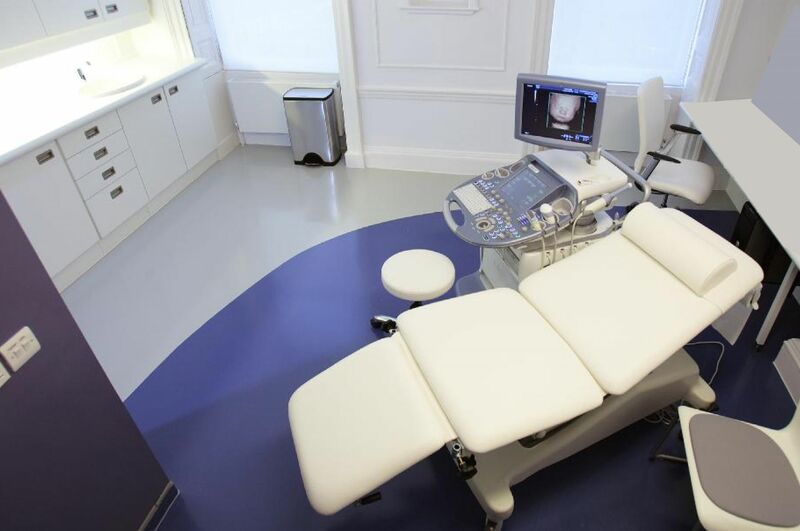 The space was modern and comfortable and the technology discreetly integrated. 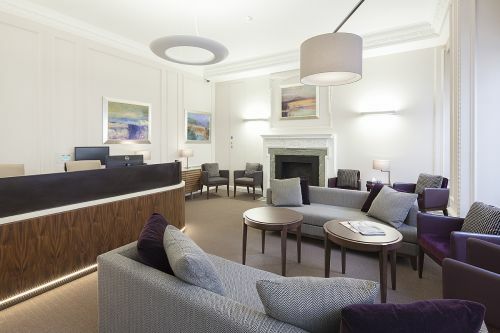 I loved the curved purple cocoon space - it was very re-assuring - made me feel like a was in safe hands.